2. Draw / sketch a range of initial ideas for the coffee table. Your ideas must meet the specification you have written. This table is based on an oval. The bentwood top is manufactured in one piece, with a woven cane fill. This means that the table is both lightweight and strong. Screws / nuts and bolts hold the table together, meaning that it can be distributed as a flat pack. The tables can be stacked in two ways, as seen opposite. 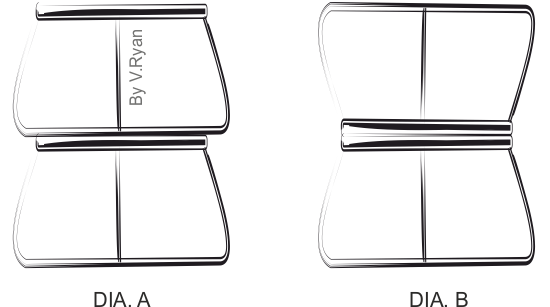 Diagram ‘A’ shows the table stack in the least stable / safe way. The table stacked on top would be likely to fall off. Diagram ‘B’ is the most stable method of stacking, although only two tables can be stacked together. 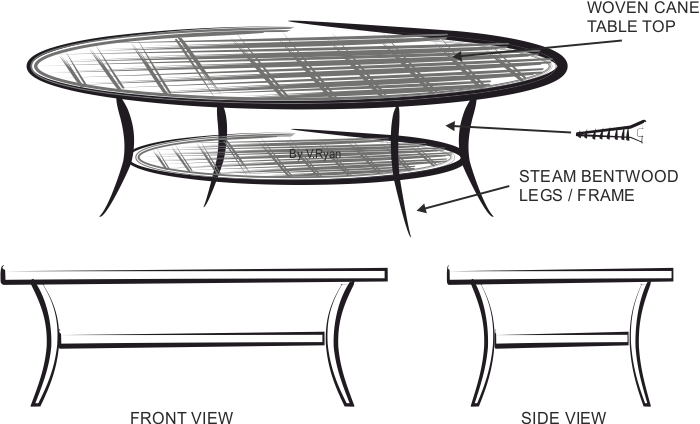 This table is also based on an oval. The bentwood top is manufactured in one piece and joined with srews. It has two bentwood circular inserts, with a woven cane fill. The table is lightweight and strong and has unusual legs. 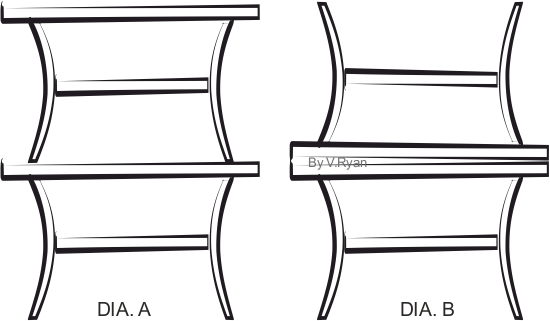 The two bentwood legs at at 90 degrees to each other, ensuring the table is extremely stable. The table arrives at the customer / retailer in flat pack form. The tables can be stacked in two ways, as seen opposite. Diagram ‘A’ shows the table stack in the least stable / safe way. The table stacked on top would be likely to fall off, if knocked.